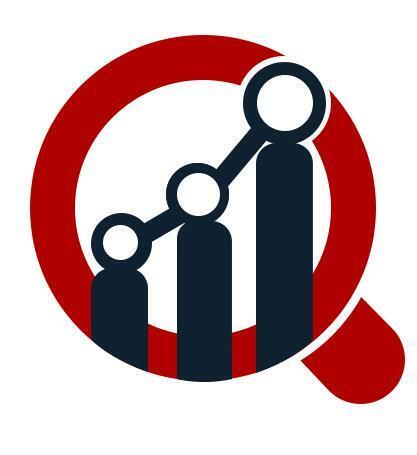 The Global Neuroprosthetics Market, as per the reports of Market Research Future (MRFR), is expected to grow by 12.4% during the forecast period (2018-2023). The period would also experience the neuroprosthetics market surpassing USD 10.48 billion valuation. Neuroprosthetics is a blend of neuroscience and biomedical engineering where a series of equipment is used that can be a substitute for a motor, sensory or cognitive modality. Primarily, this type of treatment takes place when injuries or diseases cause damage to any of the neurological system. By replacing damaged senses, these modifications aim at providing better life standard for people with disabilities. These products are also used to understand animal behavior by monitoring emitted brain signals in laboratories and research centers. MRFR, in their recent report, included detailed segmental analysis for a better understanding of the market. The analysis is based on volume-wise and value-wise reading of the market. Simultaneously, emphases have been given to neuroprosthetics market factors and competitive landscape for a holistic overview. New technologies are providing tools that need no implanting, and minimum invasive surgery can often design the system. This is garnering significant traction from the patient pool. This can ensure future market growth for the neuroprosthetics market. Prevalence of neurological disorders and overactive bladder syndrome are also effective factors that can trigger market growth. But the forecast period of the can also witnesses slight leashing owing to the high cost of the products. MRFR published the report on neuroprosthesis market with focus on market players such as Cochlear (Australia), Abbott (US), Neuropace (US), Medtronic (US), Boston Scientific (US), Sonova (UK), Livanova (UK), Med-El (UK), Retina Implant (US), Nevro (California), Second Sight (US), and others. In 2018, researchers from the EPFL's School of Engineering had developed a nerve-on-a-chip platform with the ability to stimulate and record information from explanted nerve fibers. Its working is quite similar to that of implanted neuroprosthetic. The technology integrates microchannels embedded with electrodes. The explanted nerve fibers mimic the operational methods of in vivo tissue. MRFR segments the Global Neuroprosthetics Market by type, technology, applications, and end-users to have an in-depth analysis. Based on the type, the neuroprosthetics market can be segmented into output neural prosthetics and input neural prosthetics. The output includes cognitive prosthetics and motor prosthetics. The input comprises a cochlear implant and visual prosthetic. Based on the techniques, the neuroprosthetics market can be segmented into vagus nerve stimulation, sacral nerve stimulation, deep brain stimulation, and spinal cord stimulation. Based on the application, the neuroprosthetics market can be segmented into physiological disorders, motor neuron disorders, and cognitive disorders. The motor neuron disorders segment includes Parkinson's disease and Epilepsy disorder. The physiological disorders segment comprises ophthalmic disorders, auditory processing disorders, cardiovascular disorders, and urology disorders. The cognitive disorders segment is based on Alzheimer's disease, paralysis, and severe depression. Based on the end-users, the neuroprosthetics market can be segmented into hospitals and clinics, diagnostic centers, research centers, and others. MRFR regionally segments the Neuroprosthetics Market into the Americas, Europe, Asia Pacific (APAC), and the Middle East & Africa (MEA). North America's market dominance can be attributed to researches regarding the prevalence of neural diseases such as Epilepsy and Parkinson's disease. Patient number, diagnosed with Parkinson's disease, is quite high and is triggering the inflation of the neuroprosthetics market in the region. Europe stands second in terms of the value of the market. The region, with a robust healthcare sector, gets fund in research and development regarding neuroprosthetics from both governments and private investors. The APAC market is expecting high growth during the forecast period owing to the vast patient pool present in the region. Cognitive disorders and other neurological problems are present in a considerable number to boost the market. The regional market is gaining momentum from the revamped healthcare sector and the strategic decisions of various market players of investing in the region. The number of patients suffering from Alzheimer is also quite high which is providing traction to the market. AtMarket Research Future (MRFR), we enable our customers to unravel the complexity of various industries through our Cooked Research Report (CRR), Half-Cooked Research Reports (HCRR), Raw Research Reports (3R), Continuous-Feed Research (CFR), and Market Research & Consulting Services.